This bioregional assessment helps us understand how coal seam gas and coal mining development could affect water resources and water-dependent assets in the Central West subregion. The bioregional assessment found that there is limited potential for additional coal resource development in the Central West subregion. The Ulan Mine Complex is located on the catchment boundary between the Central West and Hunter subregions. The Hunter bioregional assessment considers potential impacts to water resources from the Ulan Mine Complex, but it did not model impacts in the Central West region. 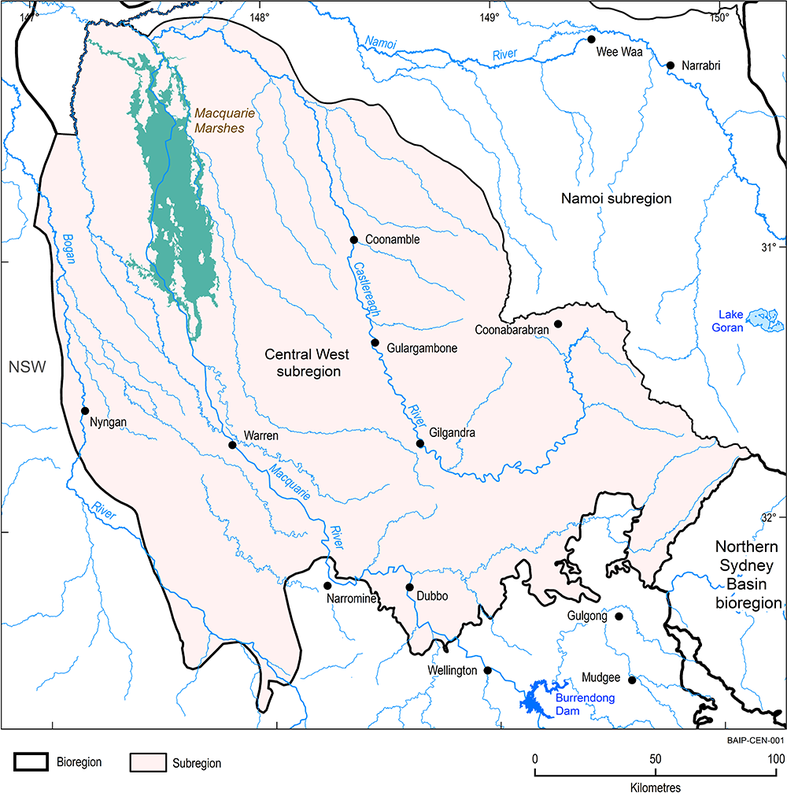 The Central West subregion is in the Murray-Darling Basin in central New South Wales. It is part of the Northern Inland Catchments bioregion. 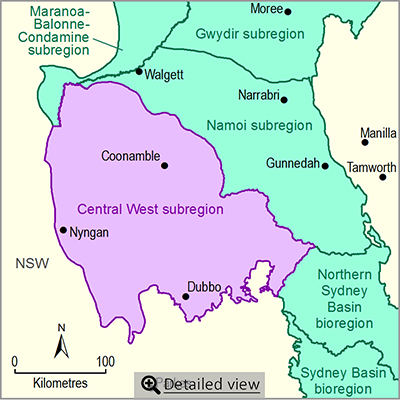 The main cities and towns in the subregion are Dubbo, Coonabarabran, Coonamble, Gilgandra and Nyngan. The main rivers are the Macquarie, Castlereagh and Bogan rivers. The subregion contains seasonal, semi-permanent and permanent wetlands and lagoons, including the Macquarie Marshes which is an internationally recognised and protected wetland.